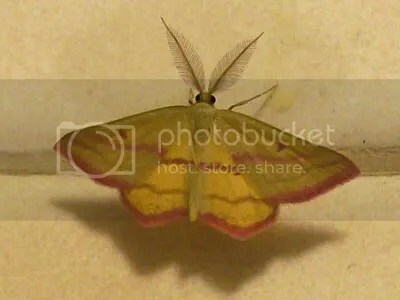 Male Chickweed Moth – Let's Paint Nature! I found this handsome fellow on the back splash of my stove. He might be snacking on some bacon grease (just kidding, moths do not eat animal fat). Do you see his beautiful plumose antennae? That distinguishes him as a male. The female only has a regular thread like antennae. With my two cupped hands I safely caught him and released him outside. He is now safe to live a regular moth life. Very soon we learn how to paint him step by step. This is a beauty! I love the feathery antennae and his little shadow. And I learned something too about the difference between a male and female moth. What a beautiful little visitor! Thanks for sharing. Looking forward to the post about painting him! Wow..that is a great photo! A bEauty! Lana: You are welcome! Thanks!